Be Careful When Economists Say "Sometimes"
...that word doesn't mean the same thing to a theorist as it does to the rest of the world. Often when I hear politicians argue about economic policies, they cite as support for their particular policy proposal the fact that economists say that the policy will "sometimes" have beneficial effects. For example, way back I remember Rand Paul arguing for a tax cut because economists say that "sometimes" cutting taxes can actually raise revenue. 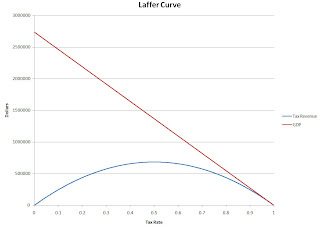 Here is what an economist means when he says that "sometimes" cutting taxes raises revenue: if the current marginal tax rate is further to the right of the peak in the blue line on the graph (greater than 50% in this example), then cutting taxes down to 50% will actually increase revenue. 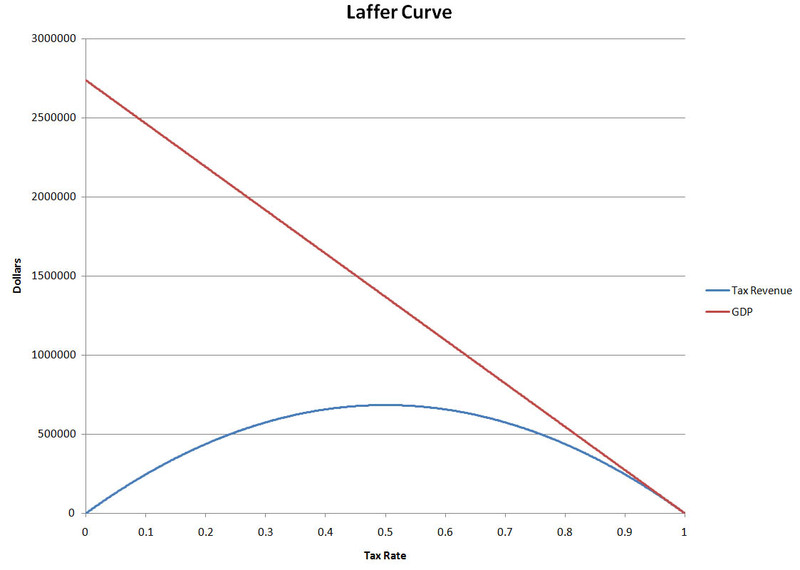 However, if the tax rate is to the left of the peak, then cutting taxes reduces revenue. So the term "sometimes" refers to the realm of theoretically possible scenarios, without any consideration of whether these scenarios would ever be observed in the real world. I'm beginning to suspect that this is not what Rand Paul and most non-economists understand the word to mean. Because if they did, they would know that the argument doesn't help them at all--they are essentially arguing that we should cut taxes because if taxes were a lot higher than they are right now, a tax cut would increase revenue. Rather, I think they think that the term "sometimes" means that it depends on the date, rather than the tax rate--that is, they think that even though the tax cut will reduce revenues this year, it could increase revenues at some later date. The confusion is understandable, but not forgivable--this is not a theoretically valid argument. So let us be clear: we can dream up scenarios in which a tax cut would theoretically increase revenue. But the real world US tax code does not coincide with any of those scenarios. In the US, cutting taxes will most definitely reduce revenues.